THE patent extremists have lost their moral compass and have sunk to an ethical abyss. We habitually cover this in relation to American law firms, but in Europe there’s some of that too. “Radio silence unless/until the EPO dedicates some budget for PR firms to flood the media with advertisements for the European Inventor Award (which the EPO promotes in Twitter about half a dozen times per day).”Earlier today we saw a firm of UPC boosters advertising a “Seminar” about something which does not even exist: “German and UPC patent infringement litigation proceedings” (the page is in German). 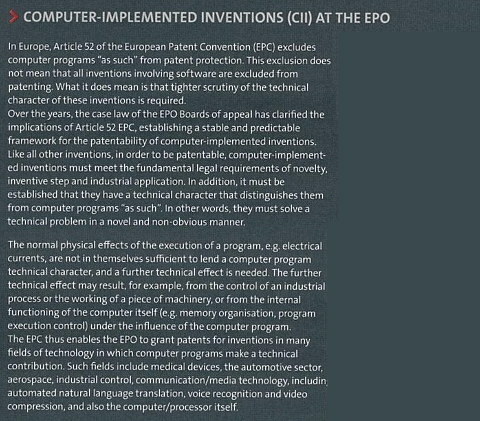 The EPO was meanwhile (earlier today) pushing for software patents in the US ahead of the other ‘seminar’ (even if software patents in Europe are generally not allowed). They will probably advise people to use all sorts of buzzwords (like the AI hype promoted some hours ago at IP Watch). Why does the media not raise this issue, let alone the EPO scandals and corruption? Finnegan is reposting/cross-posting this puff piece that we mentioned last week in another site, but there was no other news about the EPO today. Radio silence unless/until the EPO dedicates some budget for PR firms to flood the media with advertisements for the European Inventor Award (which the EPO promotes in Twitter about half a dozen times per day). Last month this blog reported on Firstface, an apparent NPE headquartered in Seoul which recently brought patent infringement complaints against both Apple and Samsung in the United States. A new set of statistics released by the Korean Intellectual Property Office (KIPO) show that this is not an isolated case, but part of an unambiguous trend. In conjunction with the Korea Intellectual Property Protection Agency, KIPO prepares a detailed annual report on US patent litigation involving Korean entities. Overall, 2017 was a busier year than 2016 for in-house patent counsel in Korean firms. In general, KIPO does not allow patents on algorithms. It has four patents registered in India and 28 outstanding patent applications in India and two outstanding patent applications in the USA.